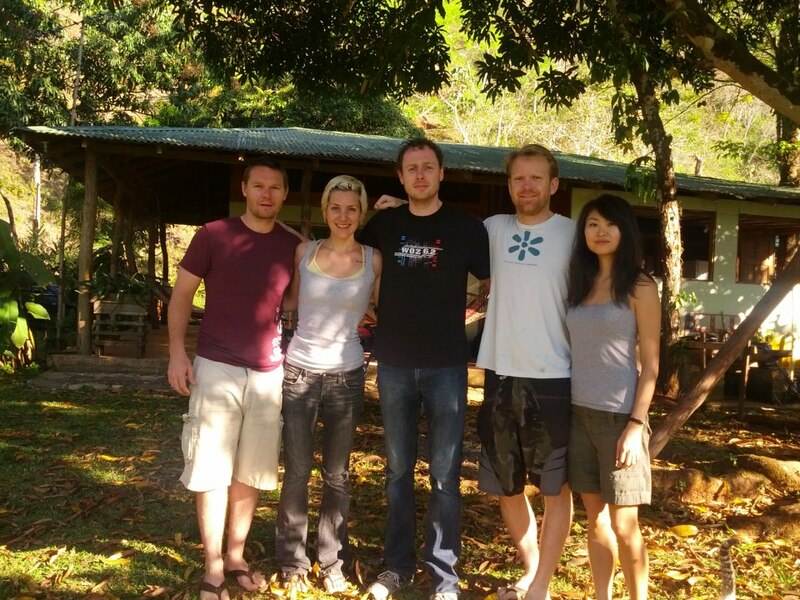 At Choza del Mundo in Costa Rica we gathered for three days of conversation and brainstorming. Our goal was to identify potential key organization and process designs for running an intentional/conscious company. See the original invite for more info. The weekend was a great success, with an constant sharing of ideas, establishing a common framework of understanding. We started a comprehensive research agenda, and a core set of ideas to pursue. We seek to help build a world that supports a more sustainable, equitable and inspiring direction for all of humanity. Companies are the focus of our attention, as we believe their unconstrained power in the 21st century makes them an ideal lever to influence our future. Our method is to be creative in the existing system - 'hacking' current corporate structures to do a better job for us all than they do now. We plan to do this with meaningful definitions that can be clearly evaluated to make clear new classes of companies. These re-oriented companies must be fundamentally directed towards a more positive vector of progress, while doing no harm to any stakeholder. The conversations at the Choza explored a number of ideas for 'design patterns' and 'hacks' that could help orient companies in a better direction. We started with talking through our backgrounds, motivations and interests and then dug in to the 'conscious company' idea to get to a more solid shared understanding. From there a few interesting future research topics expanded out. At the center was the idea of separation of mission, profits and governance, to create an ecosystem of business networks. These networks would form a new accountability, from more stakeholders than just the shareholder owners, to harness the capitalist urge to non-negotiable social and environmental values. Digging in to the network idea we explored in depth the notion of 'badges' as a mechanism for companies to join and identify networks of values they sought to measure and mange. And another running topic was decoupling human development from companies, potentially bringing about a new type of 'guild' that complements company structures and focuses more on skill development and social safety nets for individuals. We also shared knowledge about new and existing corporate legal structures, and innovative internal governance and management at companies today. Our notes from the sessions are available on github. A high level statement of intent on the goals of the initiative. A meaningful definition of a Thoughtful Company - the set of non-negotiable social and environment values that all must commit to. A website, email list and github organization to serve as an initial repository of collaboration and learning. A growing knowledge base of research related to building better companies, including on human capital, financing, corporate structures, governance and more. A reading list and book club to widen knowledge with a modicum of social pressure to spur us on. An unconference in 6-9 months to define the next iteration. Our efforts will be centered around the name 'Zero Net Positive Initiative'. This was a concept we returned to several times during the weekend, the idea that companies should aim to for a positive effect on all their stakeholders (employees, suppliers, consumers, shareholders, community and environment), with zero harm to any of them. If you are interested in joining the initiative to create then the first step is to join the list at . We'll be coordinating the research agenda there, with initial work taking place on the github infrastructure at http://github.com/zero-net-positive We will be exploring how well github can be used by non-developers, and plan to expand the technology tools when we hit that limit. But for now it is an ideal platform of collaboration.